In this tutorial, you will learn how to build a Raspberry Pi security camera using OpenCV and computer vision. The Pi security camera will be IoT capable, making it possible for our Raspberry Pi to to send TXT/MMS message notifications, images, and video clips when the security camera is triggered. Back in my undergrad years, I had an obsession with hummus. Hummus and pita/vegetables were my lunch of choice. And I was very protective of my hummus — college kids are notorious for raiding each other’s fridges and stealing each other’s food. No one was to touch my hummus. But — I was a victim of such hummus theft on more than one occasion…and I never forgot it! I never figured out who stole my hummus, and even though my wife and I are the only ones who live in our house, I often hide the hummus in the back of the fridge (where no one will look) or under fruits and vegetables (which most people wouldn’t want to eat). Of course, back then I wasn’t as familiar with computer vision and OpenCV as I do now. Had I known what I do at present, I would have built a Raspberry Pi security camera to capture the hummus heist in action! Today I’m channeling my inner undergrad-self and laying rest to the chickpea bandit. And if he ever returns again, beware, my fridge is monitored! To learn how to build a security camera with a Raspberry Pi and OpenCV, just keep reading! In the first part of this tutorial, we’ll briefly review how we are going to build an IoT-capable security camera with the Raspberry Pi. Next, we’ll review our project/directory structure and install the libraries/packages to successfully build the project. Upload an image/video clip when the security camera is triggered. Send the image/video clip directly to our smartphone via text message. From there we’ll implement the source code for the project. And finally, we’ll put all the pieces together and put our Raspberry Pi security camera into action! Figure 1: Raspberry Pi + Internet of Things (IoT). Our project today will use two cloud services: Twilio and AWS S3. Twilio is an SMS/MMS messaging service. S3 is a file storage service to help facilitate the video messages. We’ll be building a very simple IoT security camera with the Raspberry Pi and OpenCV. The security camera will be capable of recording a video clip when the camera is triggered, uploading the video clip to the cloud, and then sending a TXT/MMS message which includes the video itself. We’ll be building this project specifically with the goal of detecting when a refrigerator is opened and when the fridge is closed — everything in between will be captured and recorded. Therefore, this security camera will work best in the same “open” and “closed” environment where there is a large difference in light. For example, you could also deploy this inside a mailbox that opens/closes. You can easily extend this method to work with other forms of detection, including simple motion detection and home surveillance, object detection, and more. I’ll leave that as an exercise for you, the reader, to implement — in that case, you can use this project as a “template” for implementing any additional computer vision functionality. config/config.json : This commented JSON file holds our configuration. I’m providing you with this file, but you’ll need to insert your API keys for both Twilio and S3. pyimagesearch/notifications/twilionotifier.py : Contains the TwilioNotifier class for sending SMS/MMS messages. This is the same exact class I use for sending text, picture, and video messages with Python inside my upcoming Raspberry Pi book. pyimagesearch/utils/conf.py : The Conf class is responsible for loading the commented JSON configuration. detect.py : The heart of today’s project is contained in this driver script. It watches for significant light change, starts recording video, and alerts me when someone steals my hummus or anything else I’m hiding in the fridge. Now that we understand the directory structure and files therein, let’s move on to configuring our machine and learning about S3 + Twilio. From there, we’ll begin reviewing the four key files in today’s project. Today’s project requires that you install a handful of Python libraries on your Raspberry Pi. In my upcoming book, all of these packages will be preinstalled in a custom Raspbian image. All you’ll have to do is download the Raspbian .img file, flash it to your micro-SD card, and boot! From there you’ll have a pre-configured dev environment with all the computer vision + deep learning libraries you need! Note: If you want my custom Raspbian images right now (with both OpenCV 3 and OpenCV 4), you should grab a copy of either the Quickstart Bundle or Hardcopy Bundle of Practical Python and OpenCV + Case Studies which includes the Raspbian .img file. This introductory book will also teach you OpenCV fundamentals so that you can learn how to confidently build your own projects. These fundamentals and concepts will go a long way if you’re planning to grab my upcoming Raspberry Pi for Computer Vision book. opencv-contrib-python : The OpenCV library. imutils : My package of convenience functions and classes. twilio : The Twilio package allows you to send text/picture/video messages. boto3 : The boto3 package will communicate with the Amazon S3 files storage service. Our videos will be stored in S3. To install these packages, I recommend that you follow my pip install opencv guide to setup a Python virtual environment. Now that our environment is configured, each time you want to activate it, simply use the workon command. Let’s review S3, boto3, and Twilio! 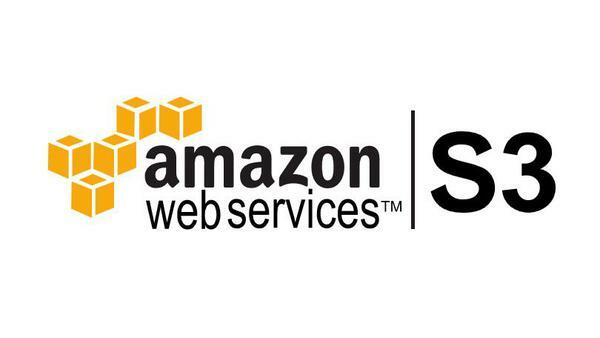 What is Amazon AWS and S3? Figure 2: Amazon’s Simple Storage Service (S3) will be used to store videos captured from our IoT Raspberry Pi. We will use the boto3 Python package to work with S3. Amazon Web Services (AWS) has a service called Simple Storage Service, commonly known as S3. The S3 services is a highly popular service used for storing files. I actually use it to host some larger files such as GIFs on this blog. Today we’ll be using S3 to host our video files generated by the Raspberry Pi Security camera. S3 is organized by “buckets”. A bucket contains files and folders. It also can be set up with custom permissions and security settings. A package called boto3 will help us to transfer the files from our Internet of Things Raspberry Pi to AWS S3. Before we dive into boto3 , we need to set up an S3 bucket. Let’s go ahead and create a bucket, resource group, and user. We’ll give the resource group permissions to access the bucket and then we’ll add the user to the resource group. Amazon has great documentation on how to create an S3 bucket here. Step #2: Create a resource group + user. Add the user to the resource group. After you create your bucket, you’ll need to create an IAM user + resource group and define permissions. Visit the resource groups page to create a group. I named my example “s3pi”. Visit the users page to create a user. I named my example “raspberrypisecurity”. Step #3: Grab your access keys. You’ll need to paste them into today’s config file. Figure 3: The steps to gain API access to Amazon S3. We’ll use boto3 along with the access keys in our Raspberry Pi IoT project. Figure 4: Twilio is a popular SMS/MMS platform with a great API. Twilio, a phone number service with an API, allows for voice, SMS, MMS, and more. Twilio will serve as the bridge between our Raspberry Pi and our cell phone. I want to know exactly when the chickpea bandit is opening my fridge so that I can take countermeasures. Let’s set up Twilio now. Step #1: Create an account and get a free number. Go ahead and sign up for Twilio and you’ll be assigned a temporary trial number. You can purchase a number + quota later if you choose to do so. 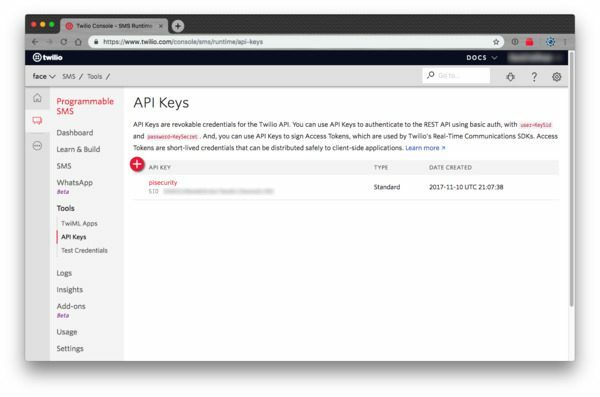 Step #2: Grab your API keys. Figure 5: The Twilio API keys are necessary to send text messages with Python. A final note about Twilio is that it does support the popular What’s App messaging platform. Support for What’s App is welcomed by the international community, however, it is currently in Beta. Today we’ll be demonstrating standard SMS/MMS only. I’ll leave it up to you to explore Twilio in conjunction with What’s App. There are a number of variables that need to be specified for this project, and instead of hardcoding them, I decided to keep our code more modular and organized by putting them in a dedicated JSON configuration file. Since JSON doesn’t natively support comments, our Conf class will take advantage of JSON-minify to parse out the comments. If JSON isn’t your config file of choice, you can try YAML or XML as well. Lines 5 and 6 contain two settings. The first is the light threshold for determining when the refrigerator is open. The second is a threshold for the number of seconds until it is determined that someone left the door open. Each of the values on Lines 9-11 are available in your AWS console (we just generated them in the “What is Amazon AWS and S3?” section above). Twilio security settings are on Lines 14 and 15. The "twilio_from" value must match one of your Twilio phone numbers. If you’re using the trial, you only have one number. If you use the wrong number, are out of quota, etc., Twilio will likely send an error message to your email address. Phone numbers can be formatted like this in the U.S.: "+1-555-555-5555" . Our configuration file includes comments (for documentation purposes) which unfortunately means we cannot use Python’s built-in json package which cannot load files with comments. Instead, we’ll use a combination of JSON-minify and a custom Conf class to load our JSON file as a Python dictionary. This class is relatively straightforward. Notice that in the constructor, we use json_minify (Line 9) to parse out the comments prior to passing the file contents to json.loads . The __getitem__ method will grab any value from the configuration with dictionary syntax. In other words, we won’t call this method directly — rather, we’ll simply use dictionary syntax in Python to grab a value associated with a given key. Upload the images/video to the cloud (since the Twilio API cannot directly serve “attachments”). Utilize the Twilio API to actually send the text message. On Lines 2-4, we import the Twilio Client , Amazon’s boto3 , and Python’s built-in Thread . From there, our TwilioNotifier class and constructor are defined on Lines 6-9. Our constructor accepts a single parameter, the configuration, which we presume has been loaded from disk via the Conf class. This project only demonstrates sending messages. We’ll be demonstrating receiving messages with Twilio in an upcoming blog post as well as in the Raspberry Pi Computer Vision book. The video file, tempVideo . Once the video is successfully stored in S3, it will be removed from the Pi to save space. Hence it is a temporary video. The send method kicks off a Thread to actually send the message, ensuring the main thread of execution is not blocked. The _send method is defined on Line 16. It operates as an independent thread so as not to impact the driver script flow. Parameters ( msg and tempVideo ) are passed in when the thread is launched. Initializing the s3 client with the access key and secret access key (Lines 18-21). Uploading the file (Lines 25-27). Line 24 simply extracts the filename from the video path since we’ll need it later. To send the message and have the video show up in a cell phone messaging app, we need to send the actual text string along with a URL to the video file in S3. Note: This must be a publicly accessible URL, so ensure that your S3 settings are correct. The URL is generated on Lines 30-33. From there, we’ll create a Twilio client (not to be confused with our boto3 s3 client) on Lines 36 and 37. Lines 38 and 39 actually send the message. Notice the to , from_ , body , and media_url parameters. Finally, we’ll remove the temporary video file to save some precious space (Line 42). If we don’t do this it’s possible that your Pi may run out of space if your disk space is already low. Now that we have (1) our configuration file, (2) a method to load the config, and (3) a class to interact with the S3 and Twilio APIs, let’s create the main driver script for the Raspberry Pi security camera. It monitors the average amount of light seen by the camera. When the refrigerator door opens, the light comes on, the Pi detects the light, and the Pi starts recording. When the refrigerator door is closed, the light turns off, the Pi detects the absence of light, and the Pi stops recording + sends me or you a video message. If someone leaves the refrigerator open for longer than the specified seconds in the config file, I’ll receive a separate text message indicating that the door was left open. Let’s go ahead and implement these features. Lines 2-15 import our necessary packages. Notably, we’ll be using our TwilioNotifier , Conf class, VideoStream , imutils , and OpenCV. Our script will run headless because we don’t need an HDMI screen inside the fridge. On Lines 18-21, we define a signal_handler class to capture “ctrl + c” events from the keyboard gracefully. It isn’t always necessary to do this, but if you need anything to execute before the script exits (such as someone disabling your security camera! ), you can put it in this function. We have a single command line argument to parse. The --conf flag (the path to config file) can be provided directly in the terminal or launch on reboot script. You may learn more about command line arguments here. Lines 30 and 31 instantiate our Conf and TwilioNotifier objects. Two status variables are initialized to determine when the fridge is open and when a notification has been sent (Lines 34 and 35). We’ll start our VideoStream on Lines 39-41. I’ve elected to use a PiCamera, so Line 39 (USB webcam) is commented out. You can easily swap these if you are using a USB webcam. Line 44 starts our signal_handler thread to run in the background. Our video writer and frame dimensions are initialized on Lines 50-52. Our while loop begins on Line 55. We proceed to read a frame from our video stream (Line 58). The frame undergoes a sanity check on Lines 62 and 63 to determine if we have a legitimate image from our camera. Line 59 sets our fridgePrevOpen flag. The previous value must always be set at the beginning of the loop and it is based on the current value which will be determined later. Our frame is resized to a dimension that will look reasonable on a smartphone and also make for a smaller filesize for our MMS video (Line 66). On Line 67, we create a grayscale image from frame — we’ll need this soon to determine the average amount of light in the frame. Our dimensions are set via Lines 70 and 71 during the first iteration of the loop. Average all pixel intensities of our grayscale image (Line 75). Compare the average to the threshold value in our configuration (Line 78). I’m confident that a value of 50 (in the config.json file) will be an appropriate threshold for most refrigerators with a light that turns on and off as the door is opened and closed. That said, you may want to experiment with tweaking that value yourself. The fridgeOpen variable is simply a boolean indicating if the refrigerator is open or not. As shown by the conditional on Line 82, so long as the refrigerator was just opened (i.e. it was not previously opened), we will initialize our video writer . We’ll go ahead and grab the startTime , create a tempVideo , and initialize our video writer with the temporary file path (Lines 84-90). The constant 0x21 is for H264 video encoding. # 1) it's left open for more than the *threshold* seconds. # 2) it's closed in less than or equal to the *threshold* seconds. msg = "Intruder has left your fridge open!!!" If the refrigerator was previously open, let’s check to ensure it wasn’t left open long enough to trigger an “Intruder has left your fridge open!” alert. Kids can leave the refrigerator open by accident, or maybe after a holiday, you have a lot of food preventing the refrigerator door from closing all the way. You don’t want your food to spoil, so you may want these alerts! For this message to be sent, the timeDiff must be greater than the threshold set in the config (Lines 98-102). This message will include a msg and video to you, as shown on Lines 107-117. The msg is defined, the writer is released, and the notification is set. On Lines 123 and 124, our notifSent flag is reset if needed. If the notification was already sent, we set this value to False , effectively resetting it for the next iteration of the loop. Otherwise, if the notification has not been sent, we’ll calculate the totalSeconds the refrigerator was open (Lines 131 and 132). We’ll also record the date the door was opened (Line 133). Our msg string is populated with these values (Lines 136-138). Then the video writer is released and the message and video are sent (Line 142-147). To finish the loop, we’ll write the frame to the video writer object and then go back to the top to grab the next frame. When the loop exits, the writer is released, and the video stream is stopped. Great job! 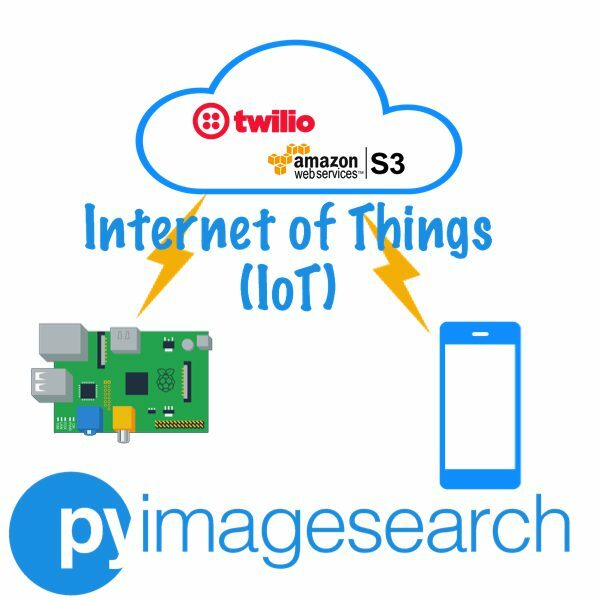 You made it through a simple IoT project using a Raspberry Pi and camera. It’s now time to place the bait. I know my thief likes hummus as much as I do, so I ran to the store and came back to put it in the fridge. 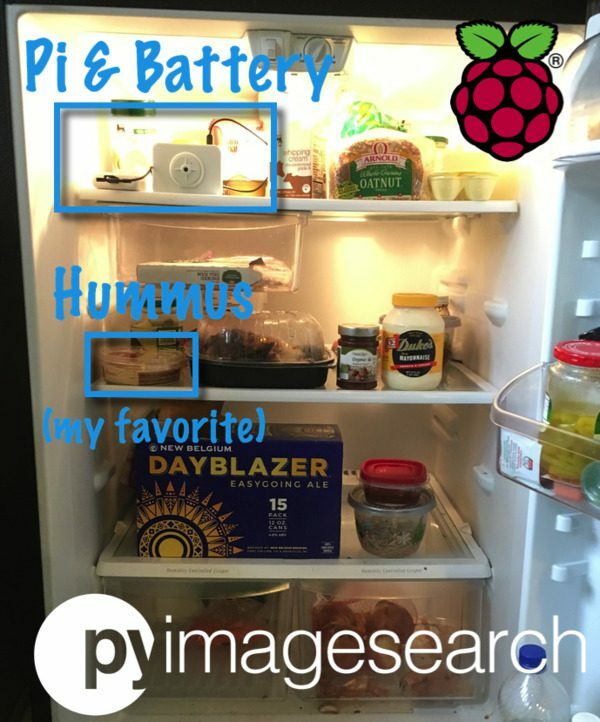 Figure 6: My refrigerator is armed with an Internet of Things (IoT) Raspberry Pi, PiCamera, and Battery Pack. And of course, I’ve placed some hummus in there for me and the thief. I’ll also know if someone takes a New Belgium Dayblazer beer of mine. When deploying the Raspberry Pi security camera in your refrigerator to catch the hummus bandit, you’ll need to ensure that it will continue to run without a wireless connection to your laptop. Run the computer vision Python script on reboot. Leave a screen session running with the Python computer vision script executing within. Be sure to visit the first link if you just want your Pi to run the script when you plug in power. If the connection from your laptop to your Pi ever dies or is closed, don’t panic! The screen session is still running. You can reconnect by SSH’ing into the Pi again and then running screen -r . You’ll be back in your virtual window. “ctrl + a, c”: Creates a new “window”. “ctrl + a, p” and “ctrl + a, n”: Cycles through “previous” and “next” windows, respectively. For a more in-depth review of screen , see the documentation. Here’s a screen keyboard shortcut cheat sheet. Once you’re comfortable with starting a script on reboot or working with screen , grab a USB battery pack that can source enough current. Shown in Figure 4, we’re using a RavPower 2200mAh battery pack connected to the Pi power input. The product specs claim to charge an iPhone 6+ times, and it seems to run a Raspberry Pi for about +/-10 hours (depending on the algorithm) as well. Go ahead and plug in the battery pack, connect, and deploy the script (if you didn’t set it up to start on boot). If you aren’t familiar with command line arguments, please read this tutorial. The command line argument is also required if you are deploying the script upon reboot. Figure 7: Me testing the Pi Security Camera notifications with my iPhone. Figure 8: Catching a furry little raccoon with an infrared light/camera connected to the Raspberry Pi. In this tutorial, you learned how to build a Raspberry Pi security camera from scratch using OpenCV and computer vision. Access the Raspberry Pi camera module or USB webcam. Setup your Amazon AWS/S3 account so you can upload images/video when your security camera is triggered (other services such as Dropbox, Box, Google Drive, etc. will work as well, provided you can obtain a public-facing URL of the media). Obtain Twilio API keys used to send text messages with the uploaded images/video. Create a Raspberry Pi security camera using OpenCV and computer vision. You can extend the security camera to include other components as well. My first suggestion would be to take a look at how to build a home surveillance system using a Raspberry Pi where we use a more advanced motion detection technique. It would be fun to implement Twilio SMS/MMS notifications into the home surveillance project as well. You can use whatever service you want. Dropbox is another service with a really good API and free tiers. I used AWS/S3 since it’s very popular and one that I’ve used in past with success. Great post, Adrian. I love hummus too. What should I do if the source code is run in my desktop? How do I initialise my camera at the pi? What should I change in this line – vs=VideoStream(usePicamera=true).start(). Sorry, I’m not sure I’m understanding your question. You would want to open up a command line, navigate to where you downloaded the source code, and execute the script. I would run the code on the pi, but save the videos to the desktop if you want to look at them from there. You can also set a watchdog script on the desktop to process the video when it is written into the folder (shared on the PC, shared on the PI, or shared on a NAS if you have one). Just be careful about storing them on the pi, because it fills up pretty quick if you are recording a common event like kids using the fridge. Have you considered that your wont have wifi with the fridge closed? what happens If I open and close the door 3 times in a minute? As getting staterd tutorial it’s ok, anyway thanks for sharing your knowledge. I didn’t have any issues with WiFi and the Pi in the fridge. You should also take a look at my reply to “Carl” as well. That is a strange looking case the pi is in. Is that moisture proof by chance? I can’t imagine a pi lasting long in a damp cold environment. Love your updates and am pleased to say I have completed a couple of your tutorials, one on facial recognition. My thought is, could you add face capture to this application and then use one of the free facial recognition services to add a name to the Hummus thief and not send notifications if it is a non-thief person? I know the full AI face rec would not run well (or at all) on a Pi or Pi zero, but using the WiFi and API features of either Google Vision or Amazon Rekognition could we pack a face grab into the project and still fit on the Pi? Nice, I’m glad you’re enjoying the tutorials, Virgil! And congrats on completing the face recognition guide. Yes, you could combine face recognition with this method and only send a notification if the person is not recognized. I would suggest starting with this Raspberry Pi face recognition tutorial. 1)In your tutorials on surveillance systems with RPi you often use online storage services, what do you think about saving videos on a local disk (USB) and periodically delete older files. 2)Have you ever tried telepot to send messagges /media on telegram? 1. That’s entirely dependent on your use case and whether or not that makes sense. You could save to local storage if the media didn’t require immediate attention or backups offline (just in case the Pi dies). 2. Sorry, I have not. Yet another awesome how-to! Thank you Adrian! Great job. Can you show how you install this on the Raspberry Pi? As in configure your Pi? If so, follow this tutorial. I’m working on a front door security system and I am already using your facial recognition tutorial. Could you please tell me if I can use this code with the facial recognition one. As in, if I can send just a picture of the visitor at the door through this method and not if the face is in the dataset. p.s: your tutorials are amazing and really interesting. Great question, Shreyas. I’ll be covering that exact use case in my upcoming Raspberry Pi + Computer Vision book. Stay tuned! I have a question, is it possible to record the footage in H.265 codec? Writing video to disk with OpenCV can be a bit of a pain. I would suggest reading this tutorial on cv2.VideoWriter. Thanks Adrian for the initiative. I have been developing applications with the RPi 3B+ and the Intel Movidius NCS using YOLO. I am a big fan of open source hardware and software. Looking forward to reading your new book. Hello. Very interesting article. Can you please list the Rasberry Pi accessories that i need to built this system? Hey Kostas — the hardware accessories are included in this tutorial (including links to them). is it possible to capture image using “TemFile” ? You mean using the “TempFile” class? Yes, absolutely. Just write the individual frame to disk using “cv2.imwrite”. I have the script functioning properly, but the videos are recorded upside down. I’ve tried adding camera.vflip = True to the script right after the imports are done, but it seems that PiCamera() needs to be imported first. When “from picamera import PiCamera” is added to the imports, the script exits with an “Out of resources” error. Apparently something else is already using the camera, which can produce this error. I can’t determine where the initial camera configuration code is so the “vflip” code can be inserted. Any ideas? Thanks. 1. You can use the cv2.flip function to flip your frame as well. 2. As far as the error goes, it sounds like you’re not closing the script properly and something else is accessing your camera module. I’m not sure what is going on there, unfortunately. Great tutorial. Would there be a way to modify the code to pre-record the last 10 seconds of video in a circular buffer then pre-pend these 10 seconds of video to videos detected with motion or objects?